I mean really come on!! Days like these don’t come around that often. When they do you gotta cherish it. 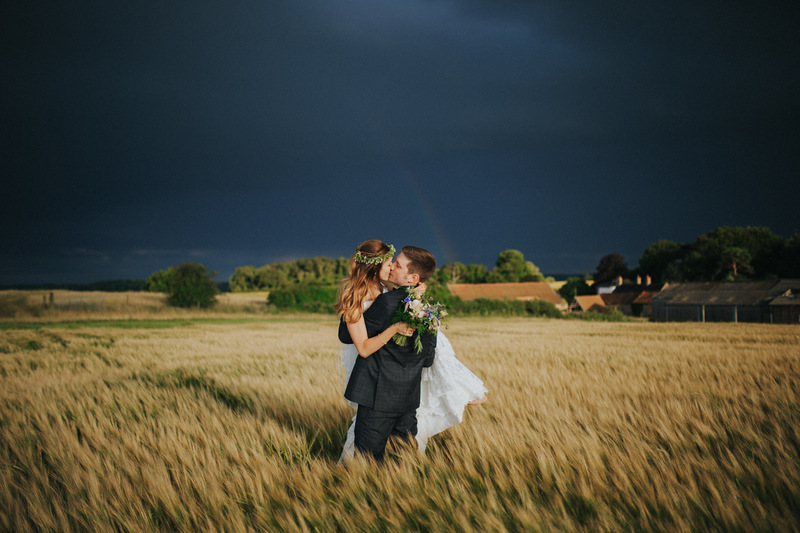 Wrap your eyes around this beautiful Norfolk Countryside wedding. Prepare for the ramble, this is me cherishing! I started the day at Gabi’s childhood home and met her super glam, wonderfully friendly mother and an awesome group of bridesmaids. This home was exactly that, a home. A warm, happy place with walls filled with memories and love at the very heart of it all. Immediately welcomed I got to work and spent some time doing my thing whilst all around me the nerves and excitement flowed. The lovely, lovely flowers arrived from Passion of Flowers in Holt. This sent the girls (and me) into a bit of a frenzy, as they were just that gorgeous. The best man popped up soon after and stopped us in our tracks. This was my cue to head to meet the boys and see what they were up too. Back with the girls after a swift one with the boys. Gabi and her awesome squad were nearly ready and looked utterly wonderful. Her beaut of a dress from The Frock Spot was a stunner, Gabi looked absolutely beautiful! Their dresses are to die for, go see!! A handful of shots in the garden and then off to the church. Arriving in style with two beautiful VW’s from Station Campers, Gabi and her girls waited to be called into Christchurch for the ceremony. What a super sweet ceremony and the love radiated all around the church. Smiles and happiness the order of the day! Gabi’s mum giving me a wonderful surprise with her and the Norwich Community Choir having a little sing-song. Stunning! Onto the reception and a drive to Back to the Garden, a farm shop/restaurant near Holt. A stunning place serving delish food in a really chilled atmosphere. Perfect place to spend some time with your closest friends and famalam! Food served and speeches done (top shelf speeches btw, poetry and pants, a great combo for speeches) the cake was then cut. I mean come one, just look at that cake! Amaaaazing! Buns of fun to thank for that! We then headed out into what looked like the perfect storm. Taking a bottle of fizz, the bridal party and Señor Booze (sorry Katie) out into the fields we had a blast. I showed the girls my Harry Potter socks and showed the boys, well…nothing, they made their own fun. Jumping into the fields and causing many barley based injuries. Damien Rice/Our lord and saviour came along too! Ice age anyone?? So much fun! We all headed back inside and PARTIED the night away with Josh Digby. An awesome DJ book him here!! What a truly incredible day. Take a look at the photos and show these guys some love below. Check out what Gabi and James had to say about their amazing day over at Whimsical Wonderland Weddings. It’s a beaut of a read! Click here for more!